When will be Cooper's Treasure: The Legend Continues next episode air date? Is Cooper's Treasure: The Legend Continues renewed or cancelled? Where to countdown Cooper's Treasure: The Legend Continues air dates? Is Cooper's Treasure: The Legend Continues worth watching? 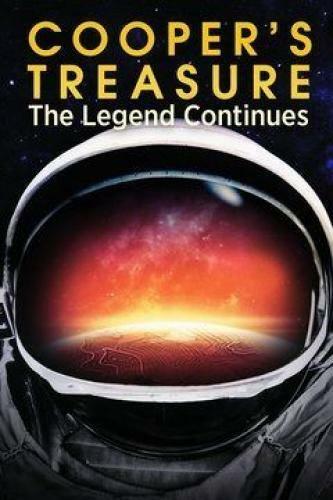 Cooper's Treasure: The Legend Continues is a series that airs extended enhanced episodes with extra information, deleted scenes and bonus unseen footage from the show "Cooper's Treasure" that is currently airing on the Discovery Channel. A billion-dollar wreck points Darrell in a new direction; Spain and Columbus' lost fleet; people have died for less, with extra added facts. Cooper's Treasure: The Legend Continues next episode air date provides TVMaze for you. EpisoDate.com is your TV show guide to Countdown Cooper's Treasure: The Legend Continues Episode Air Dates and to stay in touch with Cooper's Treasure: The Legend Continues next episode Air Date and your others favorite TV Shows. Add the shows you like to a "Watchlist" and let the site take it from there.